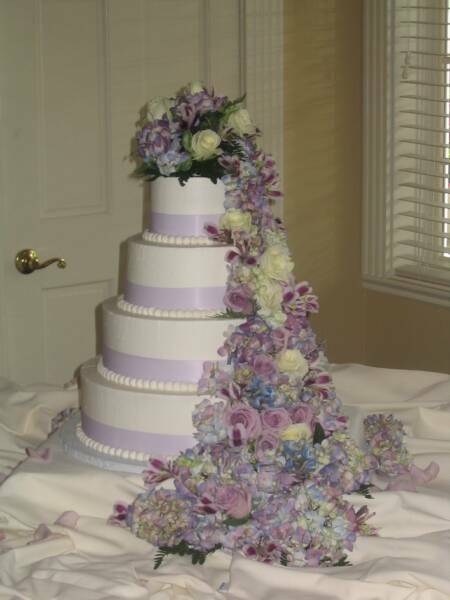 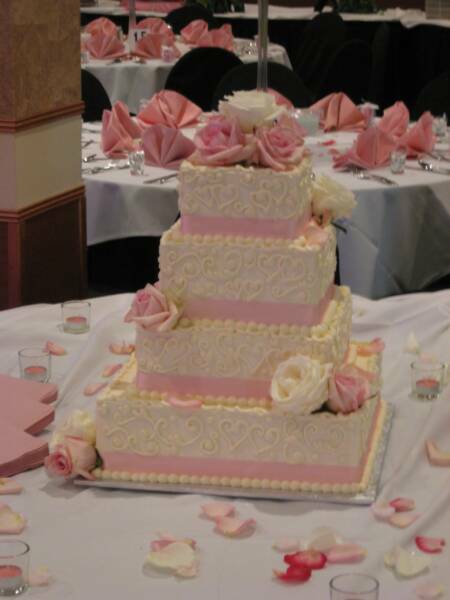 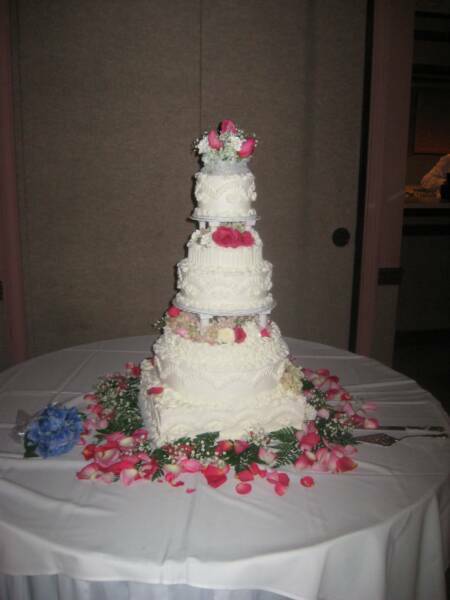 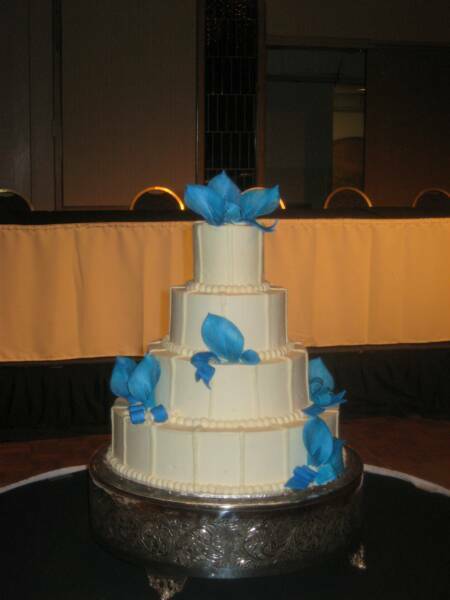 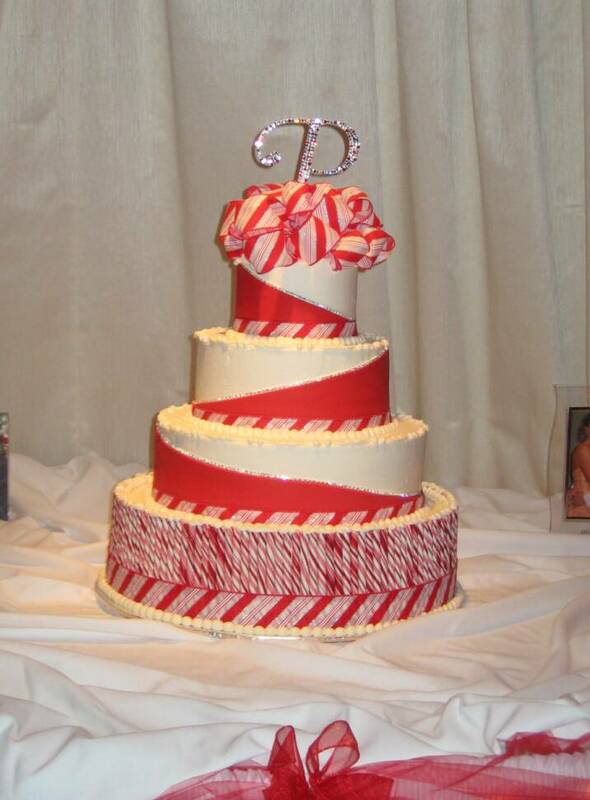 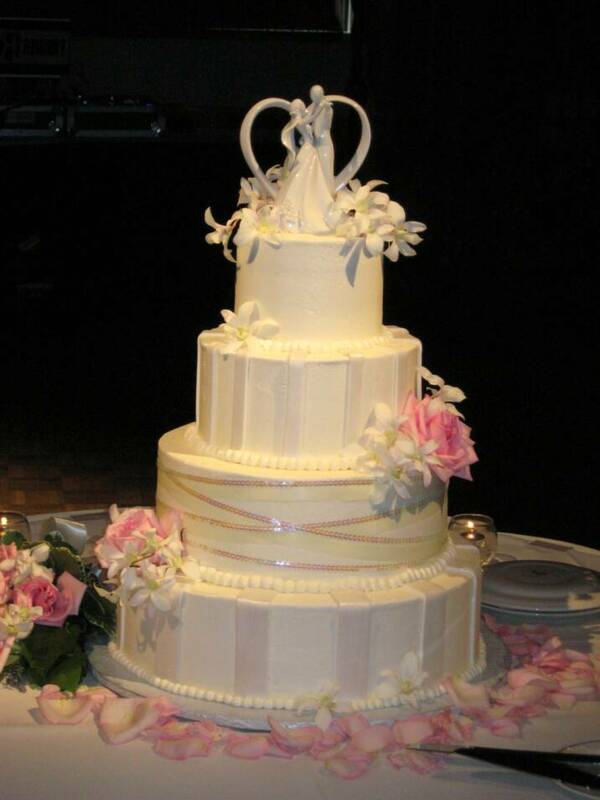 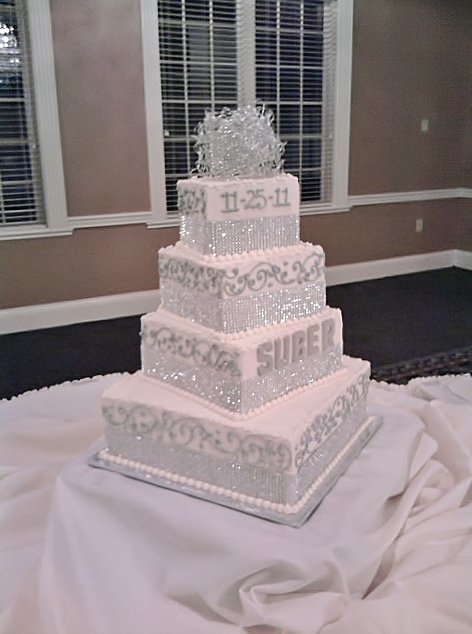 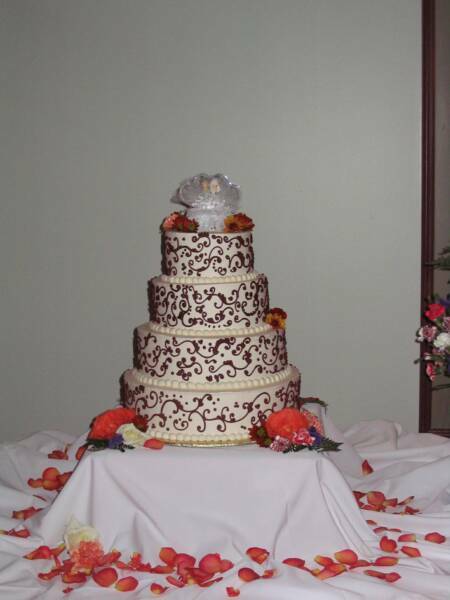 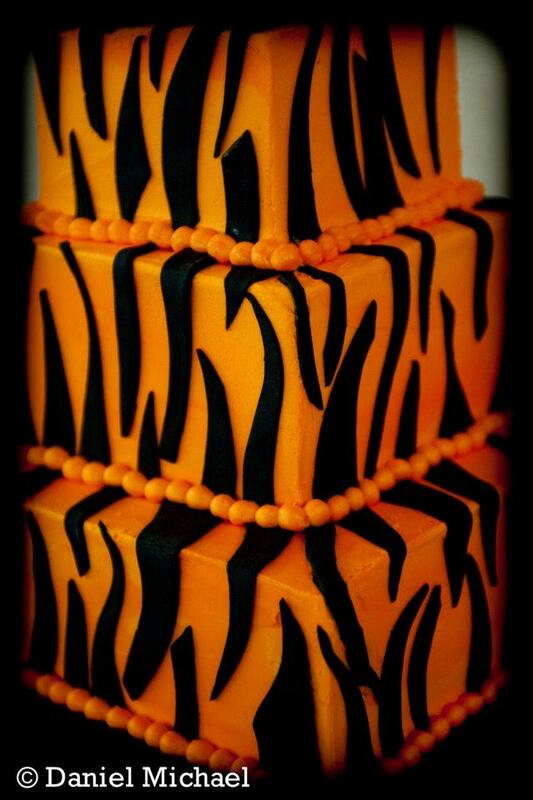 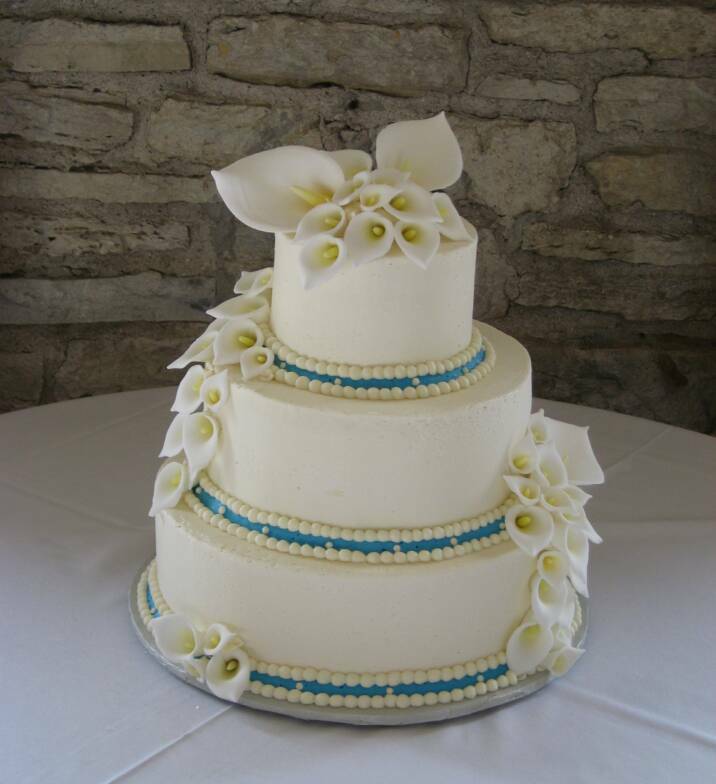 The Ultimate in Cincinnati Wedding Cake Design & Taste! 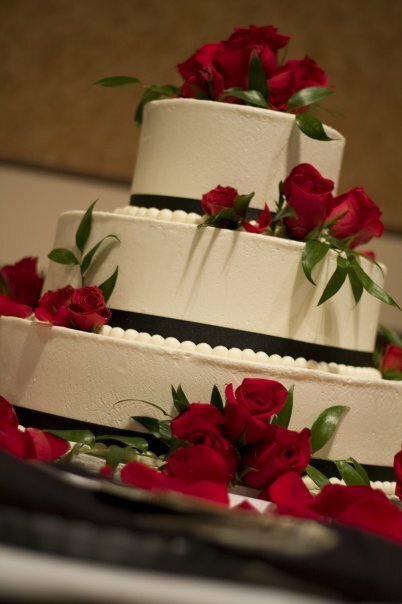 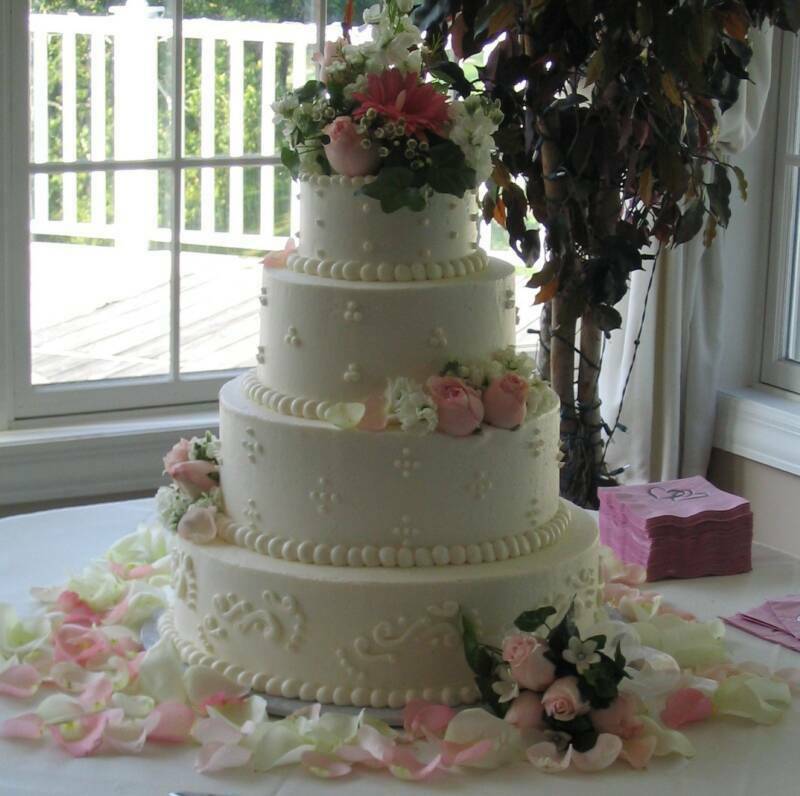 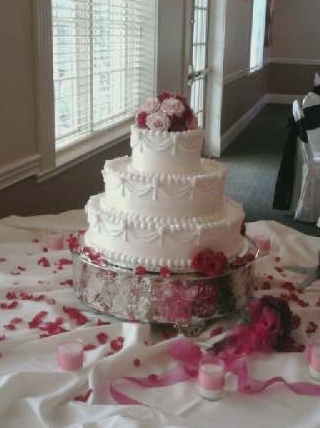 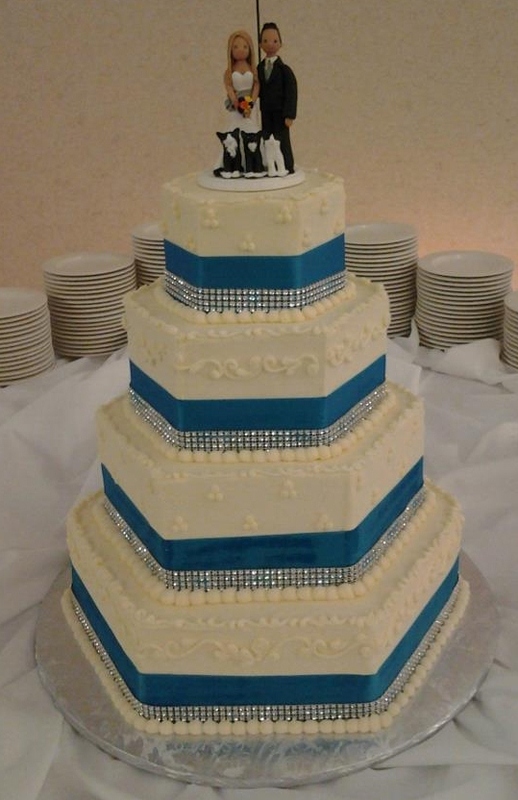 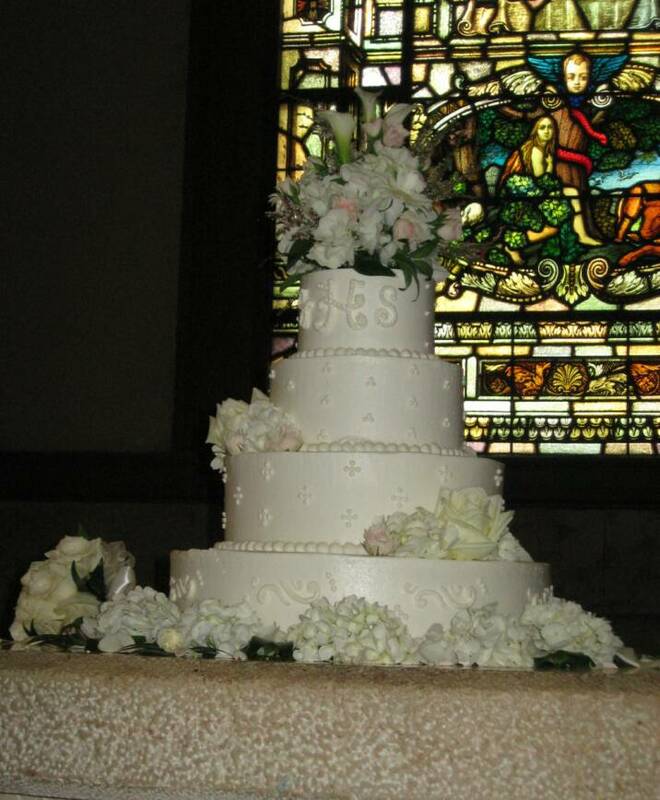 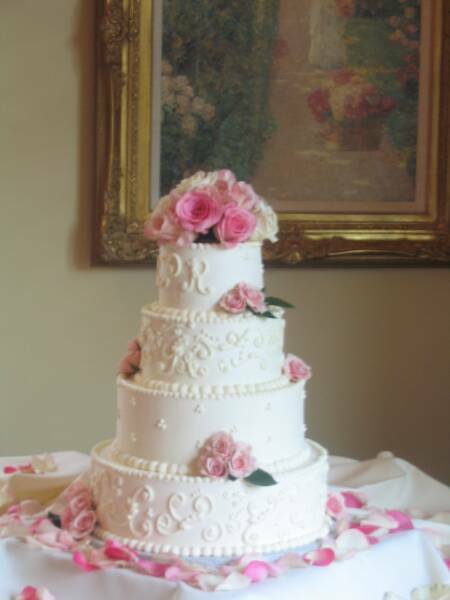 Sandra Wilkerson-Lehn, Owner and Pastry Chef, has been creating magical custom wedding cakes in Cincinnati for over 29 years, working personally with bridal couples to insure each wedding cake is personalized and special. 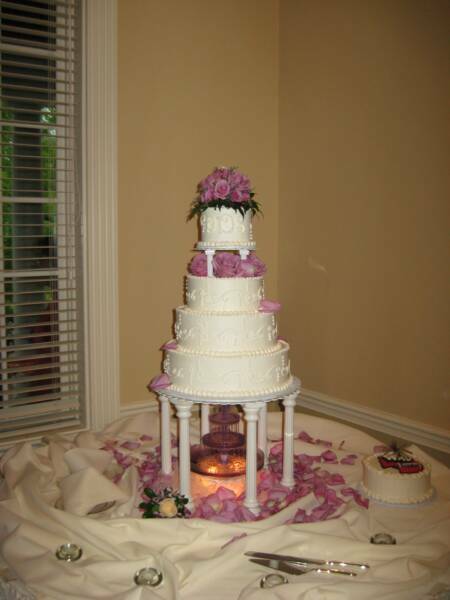 Each wedding cake is hand crafted, custom designed to your tastes and style, reflecting your dream on this very special day. 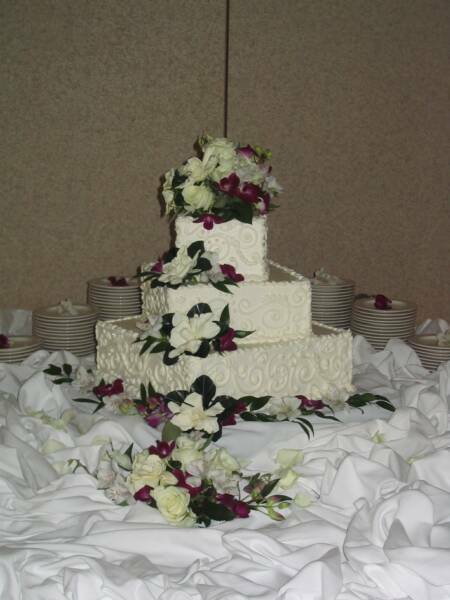 If you see a cake in a magazine or a social site, please bring it with you as it helps us to visualize, and implement your dream cake design. 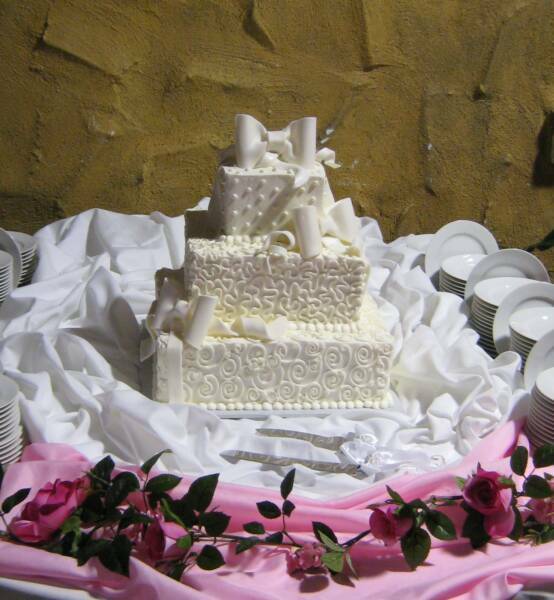 We consider it an honor to be invited to be a very important part of your very special day!!! 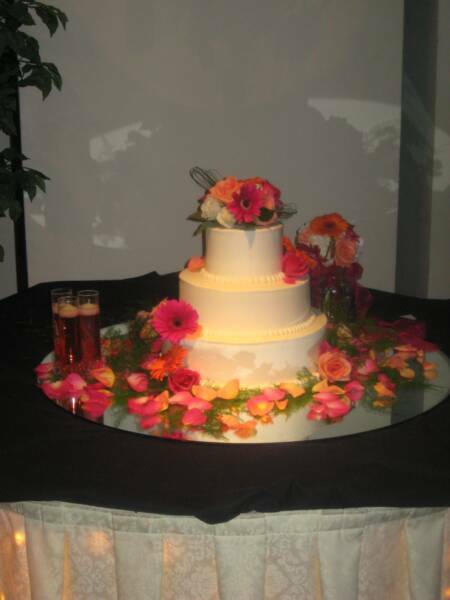 At DesssertWorks, we create a symbol reflecting your Love and New Life - a work of art that embodies the spirit of your perfect wedding experience. 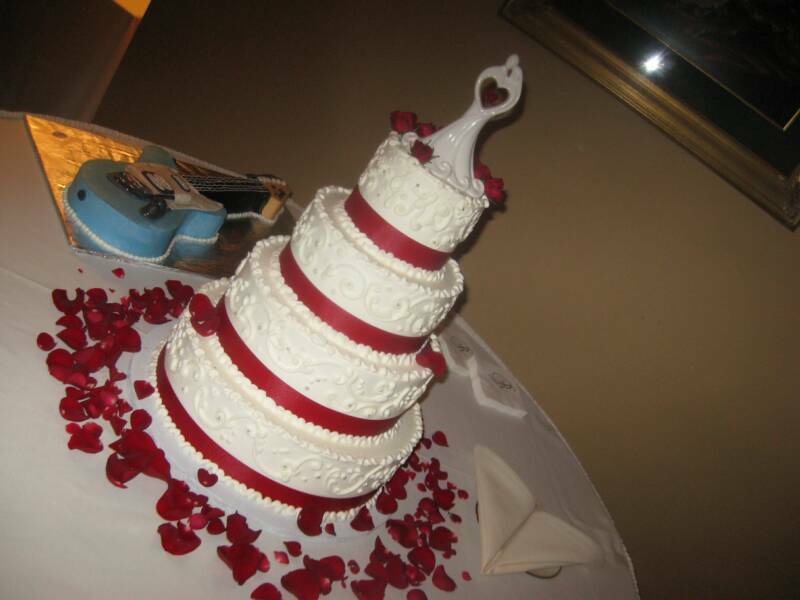 ~~Please enjoy viewing a small sampling of the wonderful cakes we've created for our bride and groom couples over the past years! 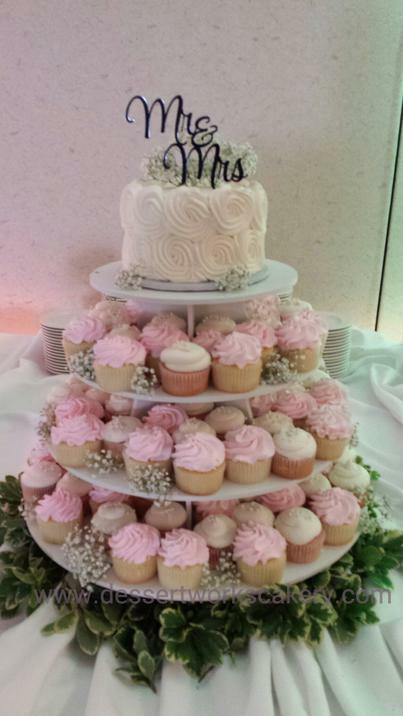 This beautiful cupcake cake is a DessertWorks ORIGINAL! 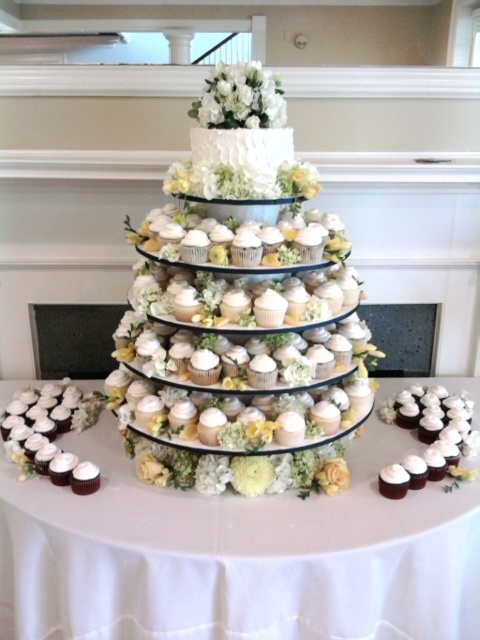 Cake for 150 plus 175 of our 2/3 sized cupcakes. 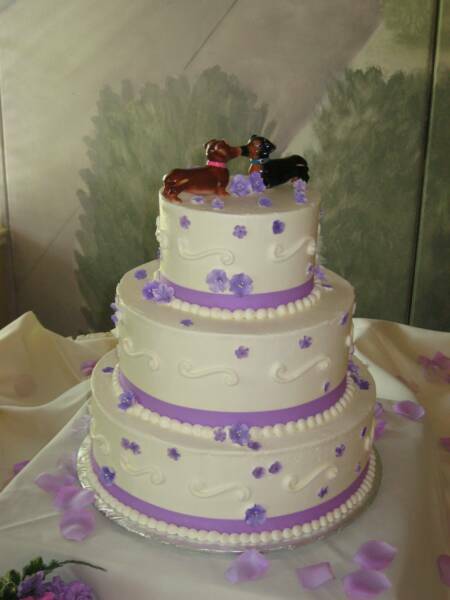 She loves cupcakes, he loves cake.... A perfect solution!